California Court Orders Venture Capitalist To Reopen Disputed Beach : The Two-Way "This is not simply a win for surfers in San Mateo County," said Surfrider Legal Director Angela Howe. "This is a win for all of the beachgoing public." Martins Beach near Half Moon Bay, south of San Francisco. Vinod Khosla bought Martins Beach in July 2008 for some $37 million. 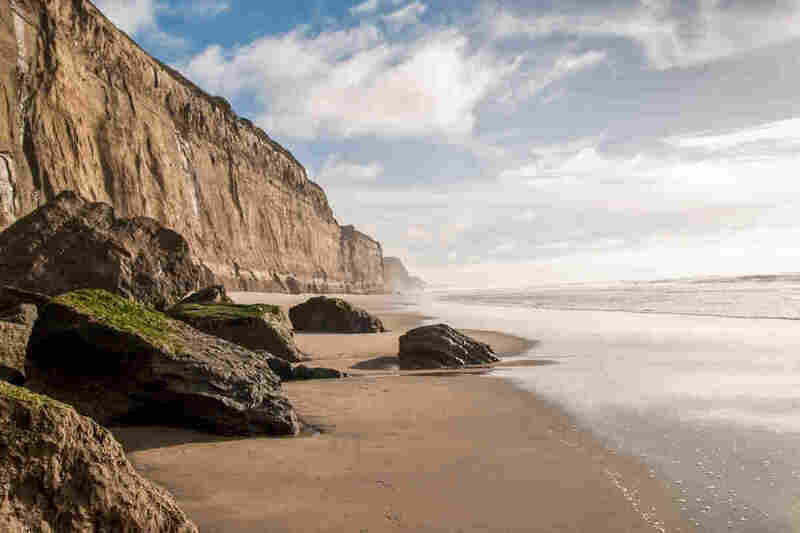 Siding with surfers and other backers of the public's access to beaches, a California appeals court is ordering a Silicon Valley billionaire to reopen public access to Martins Beach near Half Moon Bay, south of San Francisco. Vinod Khosla, a co-founder of Sun Microsystems who has invested in renewable energy, closed the beach to the public in 2009, prompting a legal challenge from the Surfrider Foundation that brought a ruling against Khosla back in 2014. On Thursday, a three-judge panel of the 1st District Court of Appeal rejected Khosla's appeal. "This is not simply a win for surfers in San Mateo County," said Surfrider Legal Director Angela Howe. "This is a win for all of the beachgoing public that wish to enjoy California's beautiful 1,100-mile coastline." The court ruled that two companies Khosla created to manage the beach property had erred by not obtaining a coastal development permit before closing the coast to the public. As member station KQED reports, "The state's Coastal Act of 1976 states that a coastal development includes 'any change in the intensity of use of water or of access thereto.' "
Khosla bought Martins Beach in July 2008, for some $37 million. At the time, the property included a gate and a parking area that charged the public a fee for beach access. One year later, his management companies closed the gate and put up a no-access sign. A billboard that had advertised beach access was painted over. When San Mateo County officials contacted Khosla about providing access in 2009, Khosla's companies replied by saying they considered the public to be "invited guests" to the property. In rejecting Khosla's claim, the court also ordered him to pay Surfrider's attorney costs — a sum that topped $485,000 when it was approved in 2015. The legal battle over the beach isn't over yet, as Khosla could appeal to either the state or U.S. Supreme Court. There are also other pending lawsuits over the beach — and as KQED notes, the California State Lands Commission is named by Khosla's companies in one of those suits. Since late 2014, the state lands commission has been trying to obtain a public access easement at Martins Beach.